ST. PETERSBURG, RUSSIA — Even if the Hermitage didn’t possess any paintings or sculptures, its walls alone would make it a place you have to see. The halls of the Winter Palace, the largest part of the complex, are laden with gold, malachite, silver, bronze, marble and ornate mouldings framing vaulted ceilings in this one-time dwelling of Catherine the Great. To stand in the airy armoury, surrounded by gilded pillars and hardly anyone is to be amazed by grandeur on an audacious scale. Then, once you’ve taken in the walls, you can be mesmerized anew by what’s on them: Rembrandts, Da Vincis, Raphaels, Titians, Tiepolos, Monets, Picassos. The icons of art, whose names we all know and whose works we have seen in high school and university textbooks, are gathered on the banks of the Neva River in this museum founded in 1764. 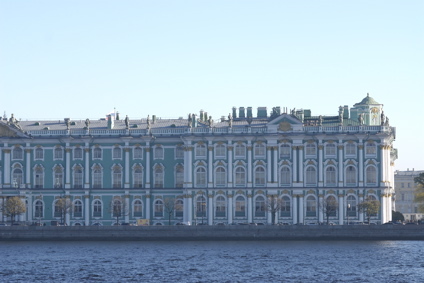 The Hermitage owns the largest collection of paintings in the world and has a total of more than 3 million pieces, only a small percentage of which are on display. “Forget about what’s on the walls, look up and sometimes the rooms themselves are more amazing than the artwork,” says Eric Weiner, a student at Vassar University in Poughkeepsie, N.Y., who is spending this semester in St. Petersburg studying art history and Russian culture.